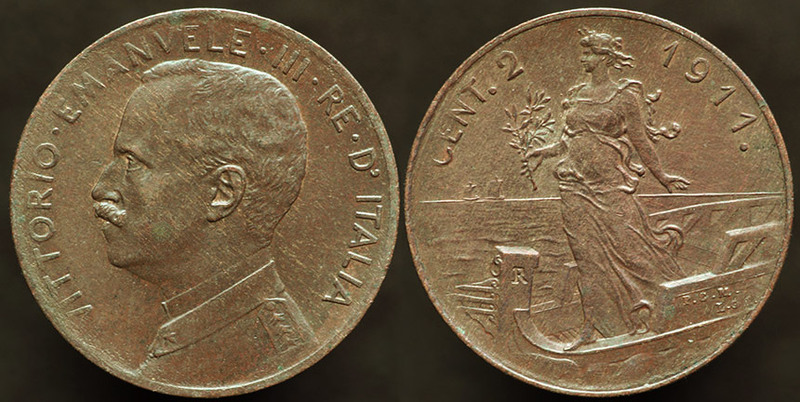 Vittorio Emanuele III - 1911, the 50th Anniversary of Unification year. However, this is not a special issue for that year or occasion, this design was struck between 1908 and 1917, with 1908 being the key date issue. Nice design with a woman, probably representing Italy, on the prow of a Roman style galley.